Whether it’s the “connected home” or the “Internet of Things,” many everyday home appliances and devices will soon feature some form of Internet connectivity. What form should that connectivity take? We sat down with Edgar Figueroa, president and CEO of the Wi-Fi Alliance, to discuss his belief that Wi-Fi is the clear choice. Bluetooth makes a pretty good case for itself, though inconsistent user experiences remain the norm for several reasons. The latest Bluetooth specifications provide very low power data transfers and have very low overhead for maintaining a connection. The result is that the power profile for the connection is low whether you’re transacting data or not. Connection speeds are modest compared to the alternatives. But the biggest detractor for Bluetooth is inconsistency. Bluetooth has always felt kludgy; it’s an incomplete solution that will suffice until it improves. It’s helpful that Bluetooth devices can often have their performance, reliability, and features improved upon through software updates, but the experience can still remain frustrating. Bluetooth has its place in devices whose current draw must not exceed the capabilities of a watch battery. But even in small devices, Wi-Fi’s performance and ability to create ad hoc networks and Wi-Fi Direct connections can better the experience, even if it’s at the risk of increasing power draw and battery size. In the end, the compelling case for Wi-Fi’s use in the mobile space has more to do with what we want from our experiences than whether one is more power-hungry. Simplicity in all things is preferred. Even after all these years, pairing Bluetooth is usually more complex than connecting a new device to your existing Wi-Fi network. Even in the car, where Bluetooth has had a long dominance, the ability to connect multiple devices over Wi-Fi’s wide interface may ultimately be preferred. Still, despite Figueroa’s confidence, it’s an increasingly green (and preferably bill-shrinking) world looking to adopt an Internet of Things lifestyle. Wi-Fi may ultimately need to complete its case by driving power down enough to reside in all our Internet of Things devices, from the biggest to the smallest. Be afraid, friends, for science has given us a new way in which to circumvent some of the strongest encryption algorithms used to protect our data — and no, it’s not some super secret government method, either. Researchers from Tel Aviv University and the Weizmann Institute of Science discovered that they could steal even the largest, most secure RSA 4096-bit encryption keys simply by listening to a laptop as it decrypts data. To accomplish the trick, the researchers used a microphone to record the noises made by the computer, then ran that audio through filters to isolate the vibrations made by the electronic internals during the decryption process. With that accomplished, some cryptanalysis revealed the encryption key in around an hour. Because the vibrations in question are so small, however, you need to have a high powered mic or be recording them from close proximity. The researchers found that by using a highly sensitive parabolic microphone, they could record what they needed from around 13 feet away, but could also get the required audio by placing a regular smartphone within a foot of the laptop. Additionally, it turns out they could get the same information from certain computers by recording their electrical ground potential as it fluctuates during the decryption process. Of course, the researchers only cracked one kind of RSA encryption, but they said that there’s no reason why the same method wouldn’t work on others — they’d just have to start all over to identify the specific sounds produced by each new encryption software. Guess this just goes to prove that while digital security is great, but it can be rendered useless without its physical counterpart. So, should you be among the tin-foil hat crowd convinced that everyone around you is a potential spy, waiting to steal your data, you’re welcome for this newest bit of food for your paranoid thoughts. Engineers at the University of Washington have developed a way to communicate over short distances using devices that don’t require batteries or transmit any signals. They’ve developed a pair of devices that can successfully exchange data at speeds of up to 10kbps over a distance of up to 1 meter, which could be useful in applications as varied as wearable devices or building sensors. They’ve developed a couple small devices that can communicate by reflecting or absorbing TV signals. Second, data transmission works by having one of the devices reflect or absorb the received TV signal while the other watches for changes in the received signal level of the TV broadcast. When the first device is reflecting, the level of signal received at the second device should be higher and when it’s absorbing the signal level should fall. By detecting the difference between the two, the system has the basics for binary data transmission. Details of the research were published at the Association for Computing Machinery’s Special Interest Group on Data Communication 2013 conference in Hong Kong this week. It won the conference’s best-paper award. A high court judge has ruled that a computer scientist cannot publish an academic paper over fears that it could lead to vehicle theft. Flavio Garcia, from the University of Birmingham, has cracked the algorithm behind Megamos Crypto—a system used by several luxury car brands to verify the identity of keys used to start the ignition. He was intending to present his results at the Usenix Security Symposium. The company asked the scientists to publish a redacted version of the paper without the crucial codes, but the researchers declined, claiming that the information is publicly available online. They tested various attacks against the sensors using a specific kind of radio antennae the sensors use to communicate with their home networks. They found it was possible to modify readings and disable sensors from up to 40 miles (64 kilometers) away. Since the attack isn’t conducted over the Internet, there’s no way to trace it, Penagos said. Fixing the sensors, which will require firmware updates and configuration changes, won’t be easy or quick. “You need to be physically connected to the device to update them,” Penagos said. The demand stunned the hospital employee. She had picked up the emergency room’s phone line, expecting to hear a dispatcher or a doctor. But instead, an unfamiliar male greeted her by name and then threatened to paralyze the hospital’s phone service if she didn’t pay him hundreds of dollars. Shortly after the worker hung up on the caller, the ER’s six phone lines went dead. For nearly two days in March, ambulances and patients’ families calling the San Diego hospital heard nothing but busy signals. “I haven’t seen this escalated to national security level yet, but it could if an attack happens during a major disaster or someone expires due to an attack,” said Frank Artes, chief technology architect at information security firm NSS Labs and a cybercrime advisor for federal agencies. In the traditional phone system, carriers such as AT&T grant phone numbers to customers, creating a layer of accountability that can be traced. On the Web, a phone number isn’t always attached to someone. That’s allowed scammers to place unlimited anonymous calls to any land line or VoIP number. Since mid-February, the Internet Crime Complaint Center, a task force that includes the FBI, has received more than 100 reports about telephony denial-of-service attacks. Victims have paid $500 to $5,000 to bring an end to the attacks, often agreeing to transfer funds from their banks to the attackers’ prepaid debit card accounts. The attackers then use the debit cards to withdraw cash from an ATM. They could block other thriving fraud, including the spoofing and swatting calls that have targeted many people, from senior citizens to celebrities such as Justin Bieber. In spoofing, a caller tricks people into picking up the phone when their caller ID shows a familiar number. In swatting, a caller manipulates the caller ID to appear as though a 911 call is coming from a celebrity’s home. The Marquette incident is noteworthy because when the business owner involved the Marquette County Sheriff’s Department, the scammer bombarded one of the county’s two 911 lines for 3 1/2 hours. “The few people I’ve talked to about it have said that you just have to take it and that there’s no way to stop this,” Sheriff’s Capt. Chris Kuhl said. A Texas hospital network has been targeted several times this year, said its chief technology officer, who spoke on the condition of anonymity because the individual’s employer has not discussed the attacks publicly. One of its nine hospitals lost phone service in a nurses unit for a day, preventing families from calling in to check on patients. As the hospital searched for answers, it temporarily created a new number and turned to backup phone lines or cellphones for crucial communications. The chain eventually spent $20,000 per hospital to install a firewall-type device that is able to block calls from numbers associated with an attack. For all the money spent on Internet security, companies often overlook protecting their telephones, Artes said. “It’s kind of embarrassing when a website goes down, but when you shut down emergency operations for a county or a city, that has a direct effect on their ability to respond,” he said. The Federal Communications Commission has begun huddling with phone carriers, equipment makers and other telecommunication firms to discuss ideas that would help stem the attacks. One possibility is attaching certificates, or a secret signature, to calls. The FCC’s chief technology officer, Henning Schulzrinne, acknowledged that though such a solution is probably a year or two away, it could put an end to most fraudulent calls. But Jon Peterson, a consultant with network analytics firm Neustar, said such measures raise privacy worries. Some calls, such as one to a whistle-blower hotline or one originating from a homeless shelter, may need to remain anonymous. There won’t be a single fix. But the goal is clear. Companies wanting to ensure their data is recoverable from solid state disk (SSD) drives should make sure they use third-party encryption tools with known keys rather than relying on devices’ built-in encryption, a data-recovery specialist has advised. Noting that the shift from mechanical hard drives to flash RAM-based solid state disk (SSD) drives had increased the complexity of data recovery, Adrian Briscoe, general manager of data-recovery specialist Kroll Ontrack, told CSO Australia that the growing use of SSD in business servers, mobile phones, tablets, laptops and even cloud data centres had made recovering data from the devices “a very black or white situation”. “You either get everything or you don’t get anything at all” from damaged SSD-based equipment, he explained. Many manufacturers, in particular, had taken their own approaches to data security, automatically scrambling the information on SSDs with encryption keys that are stored on the device itself. That has presented new challenges for the company’s data-recovery engineers, who work from a dedicated data-recovery clean-room in Brisbane where damaged hard drives are regularly rebuilt to the point where their data can be recovered. The proportion of SSD and flash RAM media going to that cleanroom had grown steadily, from 2.1 per cent of all data recovery jobs in late 2008 to 6.41 per cent of jobs in Q4 2012. Recovering data from SSDs is already more difficult than sequential-write hard drives because SSD-stored data is distributed throughout the flash RAM cells by design. Once SSD-stored keys are made inaccessible by damage to the device, however, recovering the data becomes far more complicated – and chances of getting any of it back plummet. “SSD devices do have encryption on them, and we are recommending people not use hardware encryption on an SSD if they are wanting to ever recover data from that device,” Briscoe explained, suggesting that users instead run computer-based software like the open-source TrueCrypt, whose keys can be managed by the user rather than internally by the drive itself. Many users had yet to appreciate the complexity that SSD poses, with a November 2012 customer survey suggesting just 31 per cent were aware of the complexity of SSD-based encryption and 48% saying there was no additional risk posed by using SSDs. An additional 38 per cent said they didn’t know. The SSD challenge isn’t limited to smartphone-wielding users, however: as data-centre operators increasingly turn to SSD to boost the effective speed of their data-storage operations, Briscoe warned that a growing number of the company’s recovery operations were involving data lost to cloud-computing operators. “A lot of vendors are using hybrid solutions with a bank of SSDs in a storage area network, then write data to [conventional] drives,” he said. MIT prof says new method of writing to magnetic media should cut power consumption by a factor of 10,000. A previously misunderstood magnetic phenomenon has been apparently explained by a paper published on Sunday in Nature Materials – and the explanation could lead to wholesale transformation in magnetic storage. This not only means increased energy efficiency, but increased speed, since the need for mechanical motion has been obviated. And since it’s non-volatile memory, it could both replace RAM and do away with the need to perform boot sequences when computers are powered on, he said. We could see these “magnetic solid-state” devices sooner, rather than later – according to Beach, the materials involved are the same as those in present-day HDD technology. ICS-CERT and the FDA are not aware that this vulnerability has been exploited, nor are they aware of any patient injuries resulting from this potential cybersecurity vulnerability. ICS-CERT is currently coordinating with multiple vendors, the FDA, and the security researchers to identify specific mitigations across all devices. In the interim, ICS-CERT recommends that device manufacturers, healthcare facilities, and users of these devices take proactive measures to minimize the risk of exploitation of this and other vulnerabilities. The FDA has published recommendations and best practices to help prevent unauthorized access or modification to medical devices. Take steps to limit unauthorized device access to trusted users only, particularly for those devices that are life-sustaining or could be directly connected to hospital networks. Appropriate security controls may include: user authentication, for example, user ID and password, smartcard or biometric; strengthening password protection by avoiding hard‑coded passwords and limiting public access to passwords used for technical device access; physical locks; card readers; and guards. Protect individual components from exploitation and develop strategies for active security protection appropriate for the device’s use environment. Such strategies should include timely deployment of routine, validated security patches and methods to restrict software or firmware updates to authenticated code. Note: The FDA typically does not need to review or approve medical device software changes made solely to strengthen cybersecurity. Provide methods for retention and recovery after an incident where security has been compromised. Cybersecurity incidents are increasingly likely and manufacturers should consider incident response plans that address the possibility of degraded operation and efficient restoration and recovery. ICS-CERT reminds health care facilities to perform proper impact analysis and risk assessment prior to taking defensive and protective measures. ICS-CERT also provides a recommended practices section for control systems on the US-CERT Web site. Several recommended practices are available for reading or download, including Improving Industrial Control Systems Cybersecurity with Defense-in-Depth Strategies.a Although medical devices are not industrial control systems, many of the recommendations from these documents are applicable. Organizations that observe any suspected malicious activity should follow their established internal procedures and report their findings to ICS-CERT and FDA for tracking and correlation against other incidents. China appears to have once again taken the lead from the United States in the burgeoning supercomputing wars, developing a supercomputer that is twice as fast as anything America has to offer. The United States only just reclaimed the top spot this past November after coming up short to Japan, China and Germany over the past three years. The rankings earn more than bragging rights as supercomputers become increasingly important to national security. The Titan aids in American research about climate change, biofuels and nuclear energy. In May, a U.S. House subcommittee held a hearing on supercomputers where researches asked Congress to provide funding for “exascale” computers, which could operate at one quintillion flops per second. 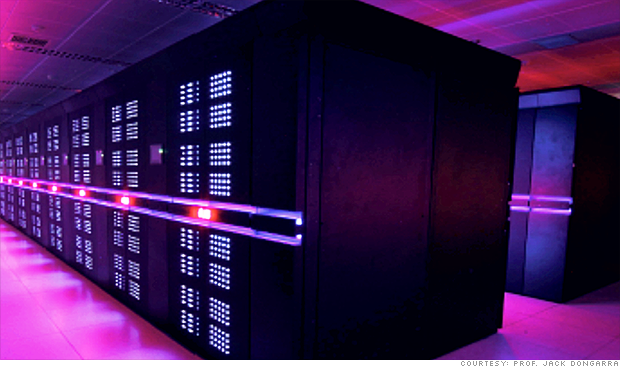 Dongarra noted that even with sustained investment into this technology, the United States could still fall behind global leaders in the supercomputing race. “Perhaps this is a wake up call,” he said. Researchers of the BenchLab project at UMass Amherst have discovered a bug in the browser of the Samsung S3. If you browse a Web page that has multiple versions of the same image (for mobile, tablet, desktop, etc…) like most Wikipedia pages for example, instead of downloading one image at the right resolution, the phone will download all versions of it. A page that should be less than 100K becomes multiple MB! It looks like a bug in the implementation of the srcset HTML tag, but all the details are in the paper to be presented at the IWQoS conference next week. So far Samsung didn’t acknowledge the problem though it seems to affect all S3 phones. You’d better have an unlimited data plan if you browse Wikipedia on an S3!